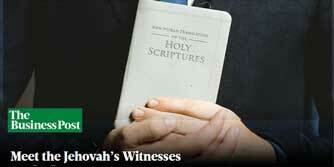 View or download manuals and textbooks used by Jehovah’s Witnesses. Here you will find manuals used by the branch offices of Jehovah’s Witnesses around the world. There are textbooks used by Jehovah’s Witnesses to deal with child custody battles, where a spouse is an ex-Witness or non-Witness. There are important and secret textbooks used by elders in dealing with congregation affairs. All documents are in PDF format unless otherwise stated. NOTE: To improve the location and language categorization of specific handbooks and manuals, we placed them on other pages. Branch and Circuit Overseer Guidelines: Click here to access them. Elder’s Manuals: Click here to access them. Pioneer and Publisher’s textbooks: Click here to access them.